Drug use in the Philippines is quite older than you think. That is if we’re going to believe what’s written in Blair and Robertson’s The Philippine Islands, 1493-1803. 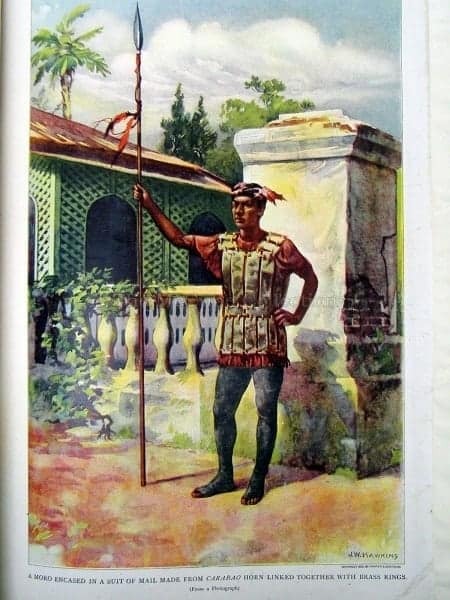 In 1631, more than a century after Magellan supposedly discovered the Philippines, Diego de Bobadilla told the story of another conquistador, Esteban Rodriguez de Figueroa, who set sail for the islands to explore its untapped resources. When everything was agreed upon, Don Esteban, with the title of governor and captain-general, led his army of four hundred Spaniards as well as over four thousand natives towards Mindanao. 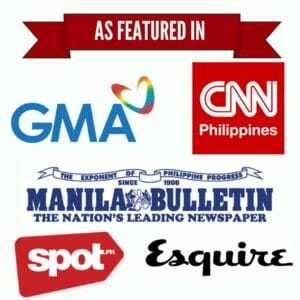 Embarking in a fleet of Visayan warships called karakoa and the larger juanga, they sailed from Oton island in the present-day Iloilo to their destination in Mindanao. The Moros reportedly fled after seeing the overwhelming number of conquerors approaching their land. For a while, the Spaniards thought that things were working in their favor. But boy were they wrong. While Don Esteban was marching with his men in some unfamiliar territory, a furious Moro jumped out of the bush and struck the general with a kampilan (a single-edged long sword). It was said that the assassin hit Don Esteban so hard “that it cleft his skull from ear to ear.” The Moro was mauled and died on the spot. An illustration of a Moro warrior from The McCune Collection. In retrospect, what the Moro did was an act of self-sacrifice. He knew the fate waiting for him, but he did it anyway with almost the same bravery as the modern-day suicide bombers. But the chronicler had an intriguing explanation: The assassin was allegedly high on opium, a powerful narcotic drug that the Moros intoxicated themselves with before engaging in a war or suicidal attack. Opium is a psychoactive drug as old as the Sumerian and Egyptian civilizations. The drug itself is obtained from the milky latex that comes out of the seed capsules of the opium poppy (Papaver somniferum). You can then turn the substance into powder, or extract such derivatives like heroin, codeine, and morphine. Before this discussion turns into a medical mumbo-jumbo, let me simplify opium by mentioning three of its most powerful effects: suppression of pain, a state of euphoria, and other physiological effects that almost always lead to addiction. 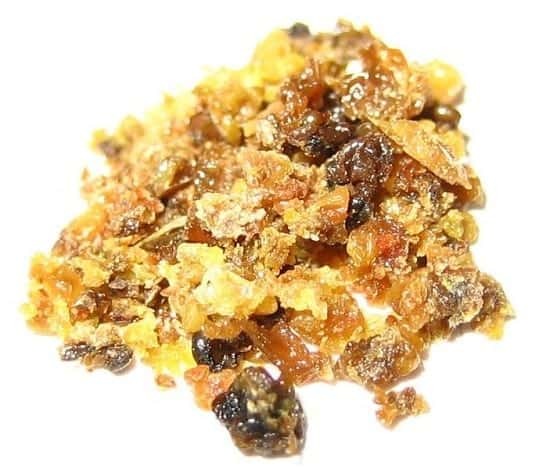 Raw opium. Via Wikimedia Commons. How did opium reach the Philippines? History of drugs in warfare, in a nutshell. For the record, our pre-colonial ancestors are known to have no access to intoxicants other than native alcoholic beverages and masticatory preparations made of betel leaf (“buyo”), areca nut (“bunga”) or lime (“hapug”). At the dawn of the 17th century, both the British East India Company and the competing Dutch East India Company were established. The two introduced opium to the Asian market, including the Philippines. 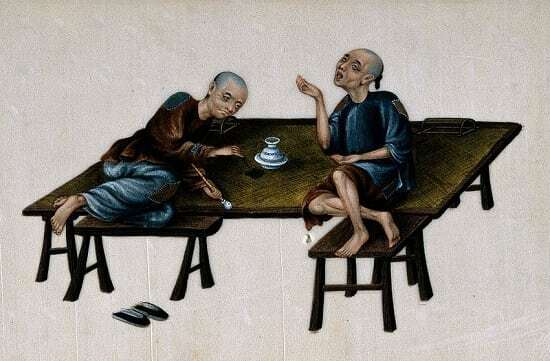 Two poor Chinese opium smokers. Gouache painting on rice-paper, 19th century. Iconographic Collections. Via Wikimedia Commons. 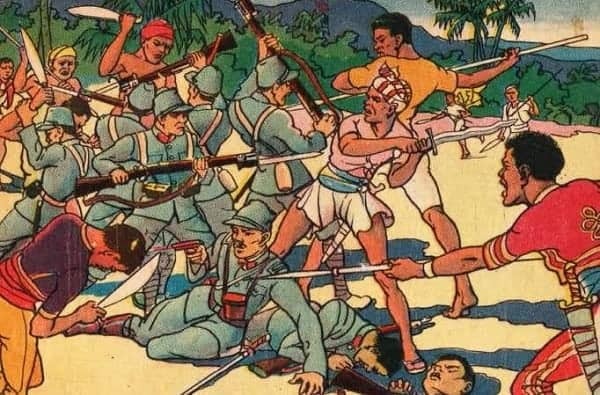 By the 18th century, Augustinian historian Antonio Mozo discovered that early Visayan and Mindanaoan warriors didn’t exclusively use opium to get high. For instance, a root crop, known in Kapampangan as “sugapa,” could provide even the meekest warrior with the reckless courage needed in war. Using psychoactive substances, or being addicted to them, is nothing new in the history of war. According to Polish historian Lukasz Kamienski, in his book “Shooting Up: A History of Drugs in Warfare,” drugs have been used numerous times in history to transform humans who would have otherwise struggled to endure war into merciless killing machines. From the Viking warriors who allegedly drank Amanita mushrooms to the German soldiers who used Pervitin to fight stress during the Poland invasion of 1939, history never runs out of stories that prove drugs have long been used–and most likely abused–in warfare. Going back to the Philippines, opium addiction within the Filipino society culminated in the latter part of the 18th century and throughout the early years of the succeeding century. Com. Charles Wilkes, one of the first few Americans to ever set foot in Jolo, observed that opium was no longer being used to brave out wars, but as a recreational drug that most likely spiraled the Moro people into addiction. 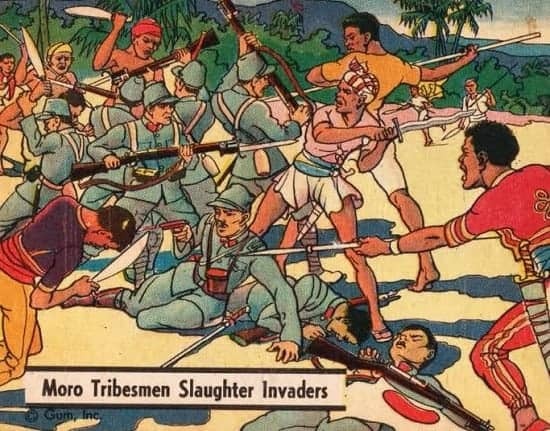 A colored card, dated 1942, showing a scene in a battle between Moros and Japanese soldiers. As the years passed by, Filipinos’ preference for drugs has evolved as well. By the 1950s, some users started favoring morphine injections over opium as the former provides a different level of privacy one could not enjoy by smoking opium. Coca leaves and marijuana first became popular in the 1940s and the 1950s, respectively, and have since enslaved many Filipinos who can’t seem to escape the mighty grip of drug addiction. With the present administration engaged in an unprecedented war against drug addiction, it’s high time to reflect on how far we’ve come since our opium-smoking ancestors first used drugs in warfare. Today’s battle has taken on a different context, and drugs are now being used by some as an excuse to take the law into their hands. So, who’s more savage now? Blair, E. & Robertson, J. (1909). The Philippine Islands, 1493-1803; explorations by early navigators, descriptions of the islands and their peoples, their history and records of the Catholic missions, as related in contemporaneous books and manuscripts, showing the political, economic, commercial and religious conditions of those islands from their earliest relations with European nations to the beginning of the nineteenth century (Volume XXIX) (pp. 90-92).